HomeBlogHome DecorOups! 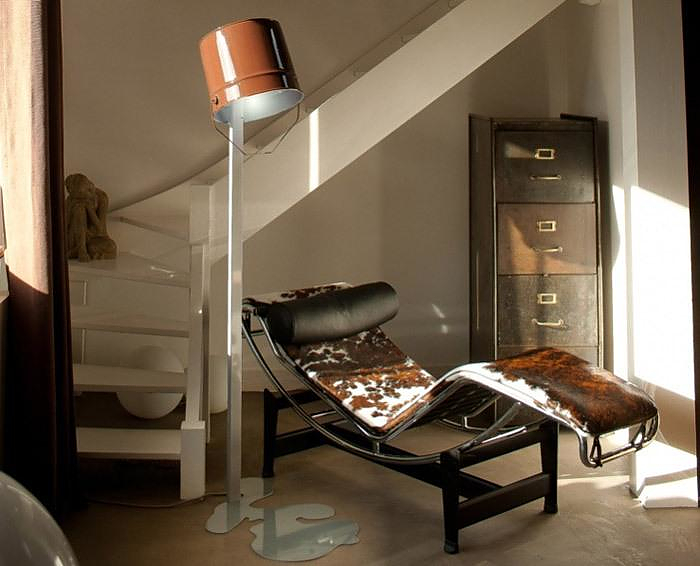 Lamp by Nathalie Bernollin. 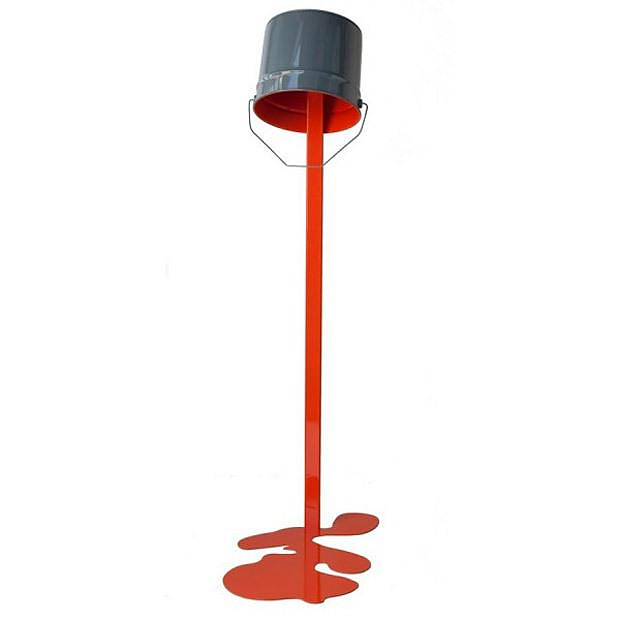 The paint bucket-shaped Oups! 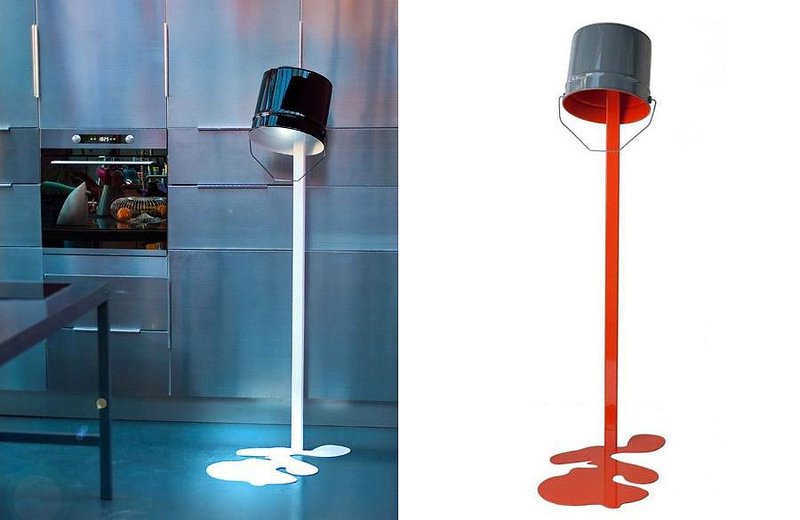 Lamp by French designer Nathalie Bernollin is characterized by playful design, bold colors and the right dosage of humor. Oops! Paint spilled out. 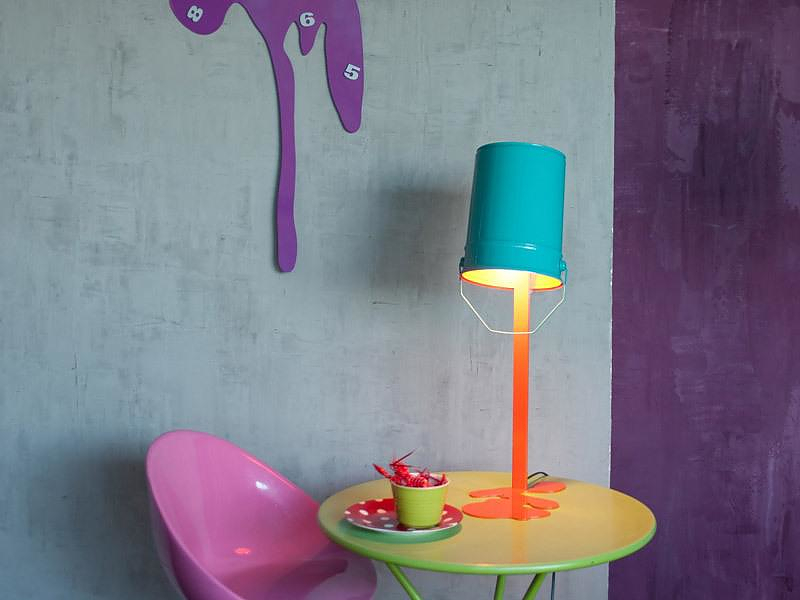 These funny memories from childhood inspired the designer to create this original and funky design. Bernollin’s father was a talented artist. 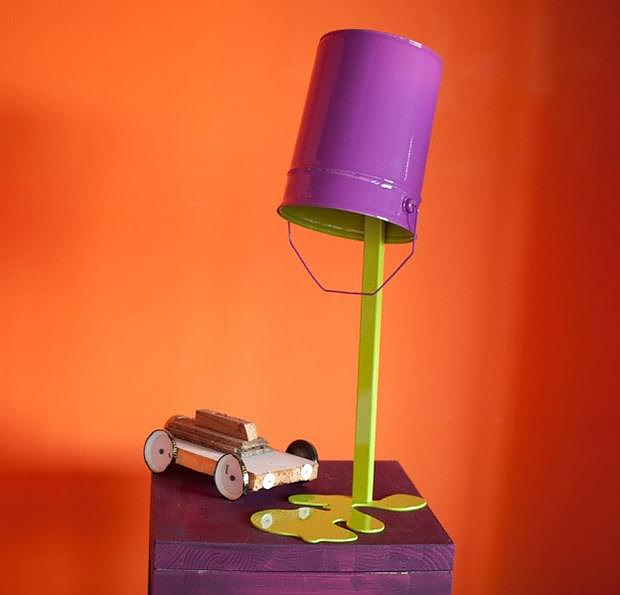 Therefore, around the house here and there, were placed jars and buckets of colorful paint. 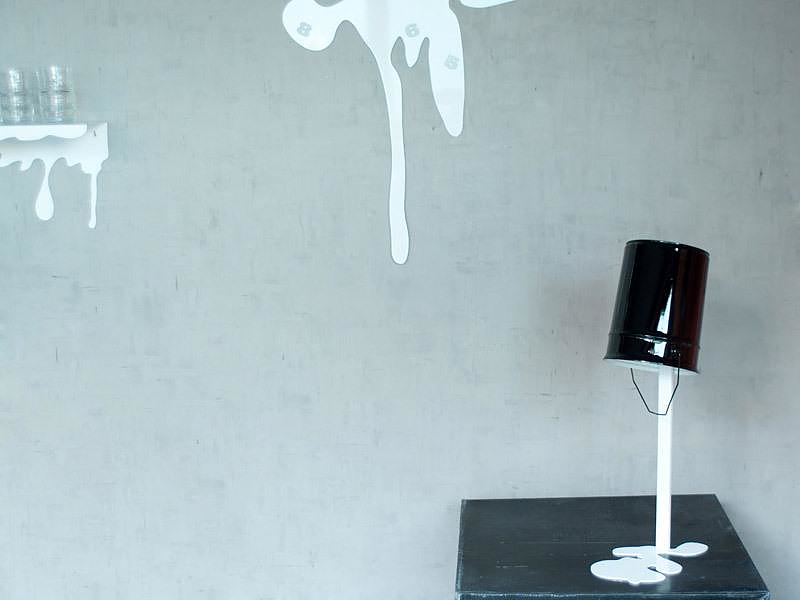 Spilling one of those buckets certainly can be a source of creative inspiration. 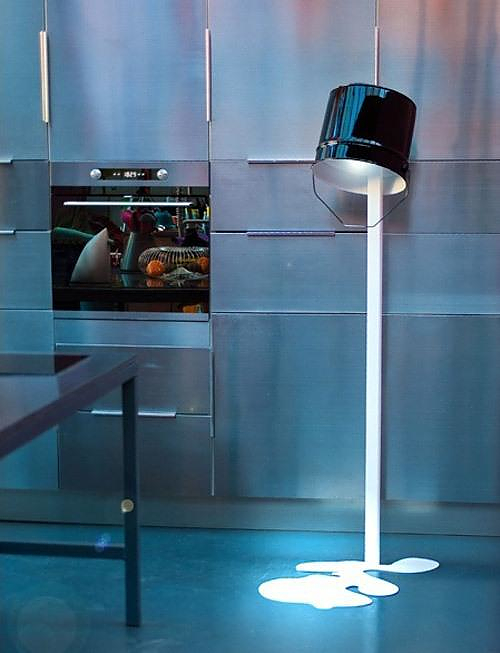 The design reminds of a lot of the Liquid Lamp by Kyouei Design, which is amongst our all time favorite lamp designs. The Oups! 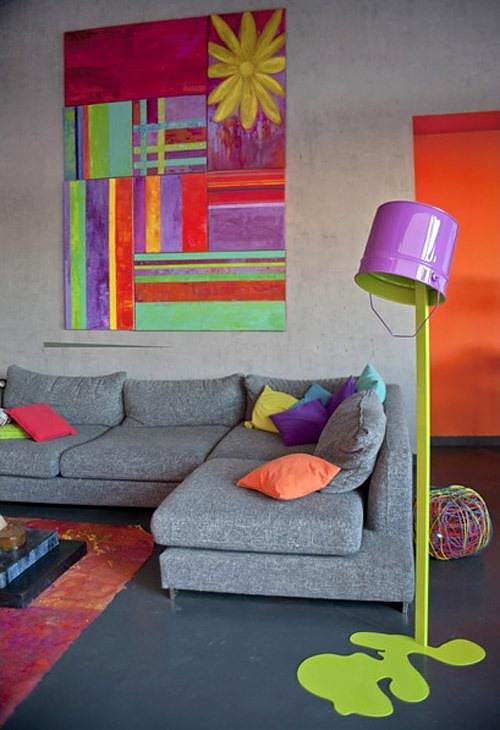 Lamp has strong pop-art element and it will look good in any interior. 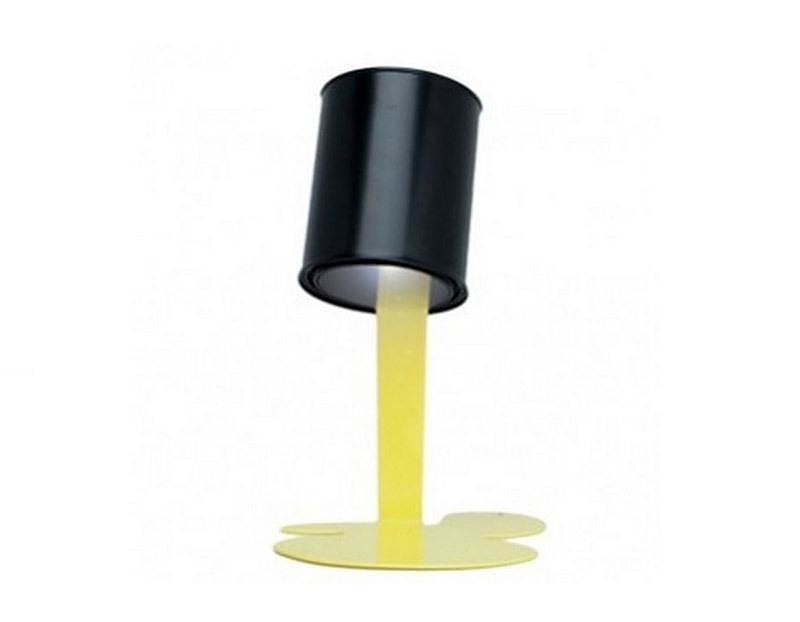 Colorful versions will match perfectly the children’s room, while a strict black and white color combination is suitable even for an office or other workplace. 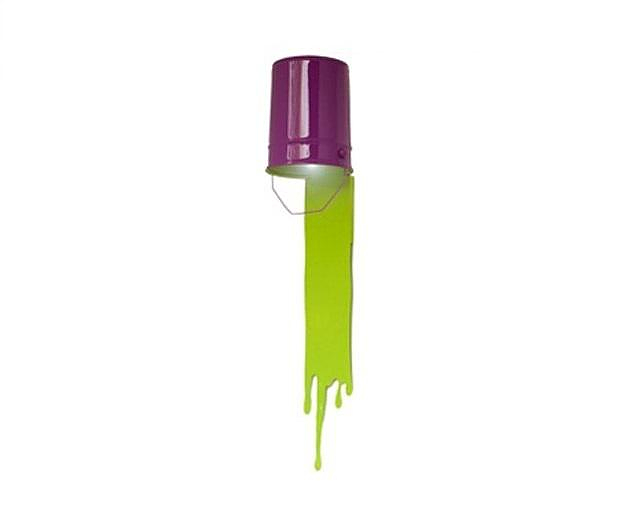 With 17 color choices for the bucket and another 17 for the paint one can create an astonishing 289 different color combinations. 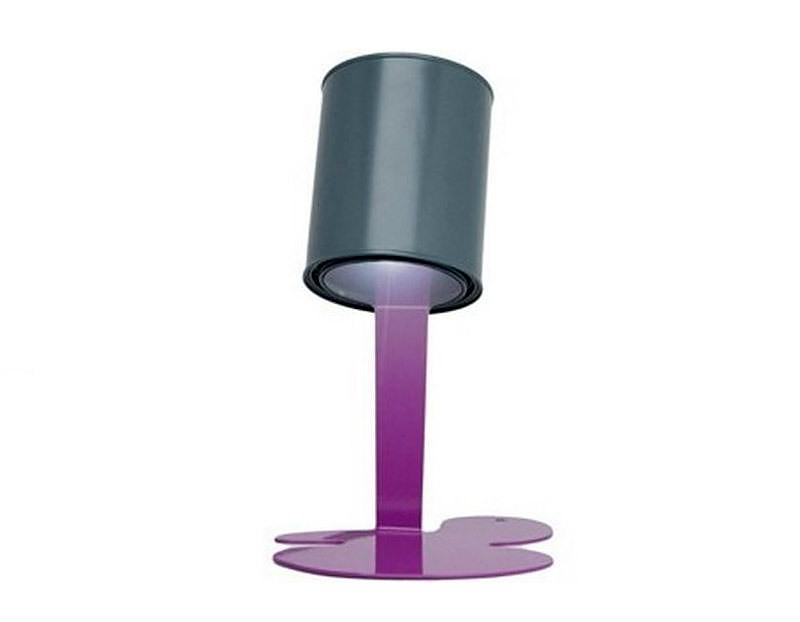 So you will most surely achieve the desired color matching. Every single item is crafted individually and minor imperfections are to be expected making each piece unique. The Oups! 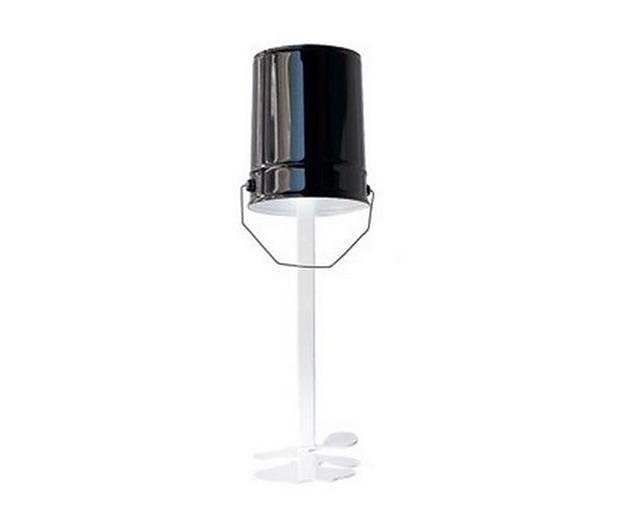 Lamp is an entirely metal construction, which is certainly good for its durability and longevity, it is available in 4 different versions: Lampadaire Oups ! 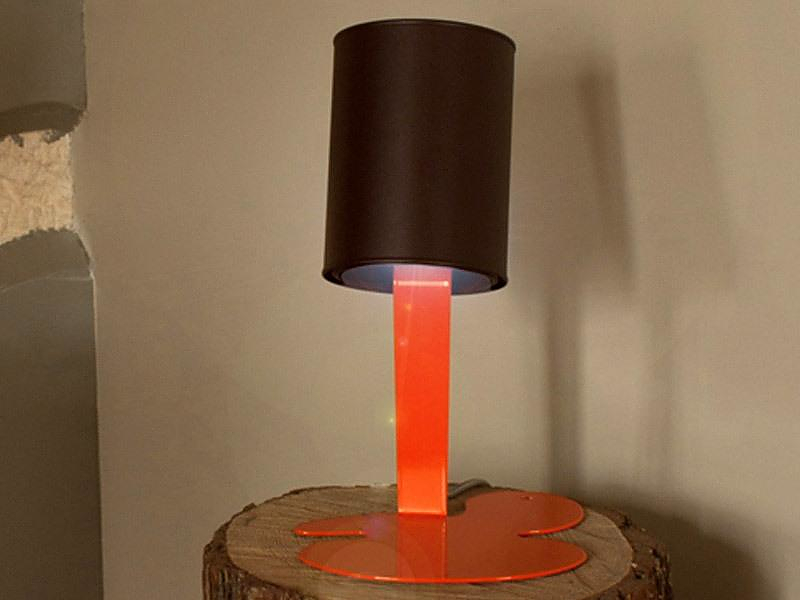 is a floor lamp, Applique Oups ! 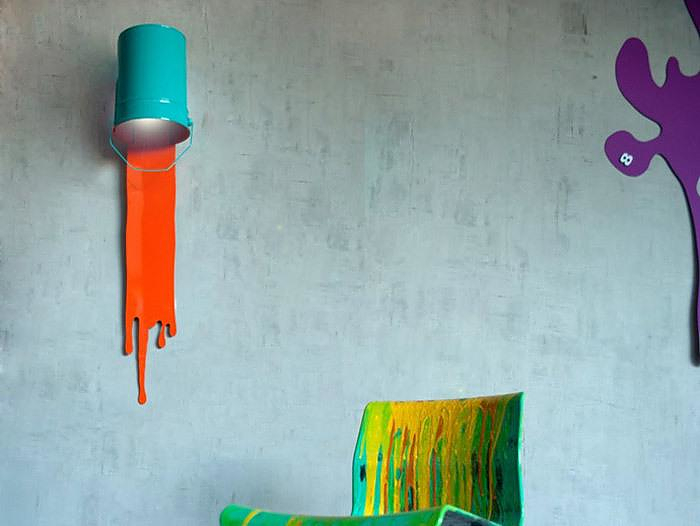 is a wall mounted lamp, Lampe Oups ! 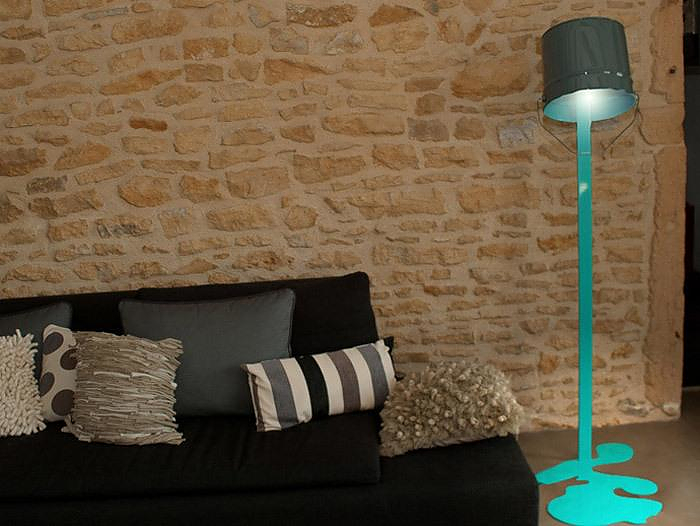 is the standard table lamp and P’tite Oups ! 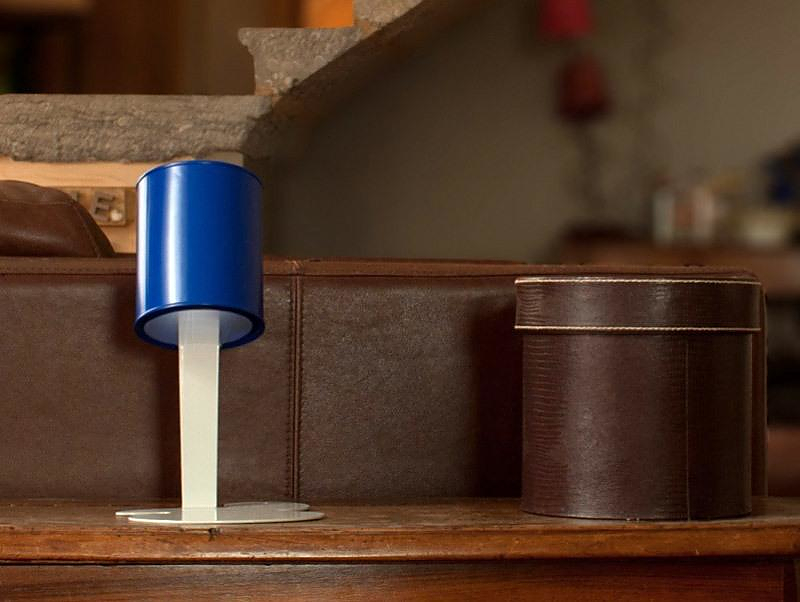 is a more compact table lamp suitable for placing side-tables next to you sofa or bed.